How I Gained It: I gained weight for a simple reason: I just started eating a lot, and at first I guess I didn’t even notice it. The weight slowly started creeping on, and no one ever said anything to me about it, so I continued to eat more and more. I love food, especially gourmet food, rich pastries and desserts. I also love to bake, and I have a definite sweet tooth, so those aspects certainly didn’t help. I’m an emotional eater, and during the difficult first year of my marriage, I gained even more weight. There were certain comfort foods that I would eat constantly: Oreos, ice cream, chocolate and candy were my favorites, but I’m a sucker for anything sweet and rich. Add to this the fact that my portions were way out of control. I would order a meal at Jack in the Box, add a milk shake and still eat ice cream later on that night. Breaking Point: Like many people, my “moment of truth” came when I saw a photo of myself. I couldn’t believe how different I looked! I decided right then and there that I had to lose the weight. 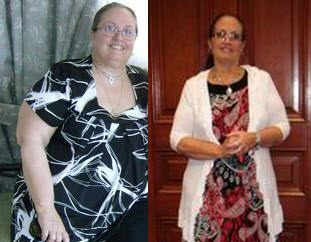 How I Lost It: Initially I joined the Slim Fast program — it was difficult but it got me on the right track toward portion control and mindful eating. However, it could not have been a long-term plan for me — I missed eating real food at meals, and two shakes plus a tiny dinner just weren’t doing it for me. I even felt weak and dizzy sometimes from lack of calories. 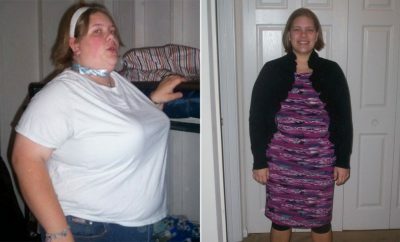 After I lost five pounds, I joined Weight Watchers online. I learned to count points and set a regimen for myself each day. If I wanted something special such as a sweet, I either had to give up points from another meal or earn more points by exercising. It really helped me cut down on my portions, and it taught me to watch everything I ate. If I had an “off” day, I just went right back on my plan the next day. I never gave up. RELATED: "I Dropped 80 Pounds by Eating at Home"
As I learned to eat better, I was completely shocked when I started learning the calorie content of my comfort foods. 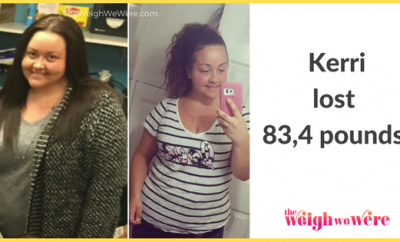 It was obvious why I had gained weight — the way I was eating, I was probably consuming almost 3,000 calories a day with little or no exercise! I started to cook leaner meats like chicken, and I switched white carbs for whole grains. I also switched from full-fat milk to nonfat. As for my sweet tooth, I satisfied it with low-fat ice cream, frozen yogurt and preportioned 100-calorie-type desserts. Sugar-free Jell-O and fat-free Jell-O puddings were my go-to snacks when I was losing weight. Once I was maintaining, I added back a little bit more food but not too much. I also started fruits and veggies for the first time in my life. When it came to exercise, I made small changes — I would park farther away from the store so I’d have to walk more. Slowly, exercise became part of my life — and surprisingly, I really began to enjoy it. I found that it’s not just good for my body, but it helps me relieve stress and anxiety as well. But above all, I knew that if I was going to keep up with my new healthy habits, I needed to put an end to my emotional eating. That was hard for me — I was in the habit of eating when I was bored, upset, stressed or even happy, even though I wasn’t hungry. Instead, when emotions got the best of me, I would try reading a book, taking a hot bath or going for a walk. Restaurant meals had to be cut back, and I changed my comfort foods. I also tried to be more mindful of the food I reached for. Even though I’m at a weight I’m happy with, I still exercise and count calories. I do spinning classes a few times a week, and on the other days, I walk at least two miles with my dog. She’s a Siberian husky, so she really never gets tired of walking, and it helps keep me on track. 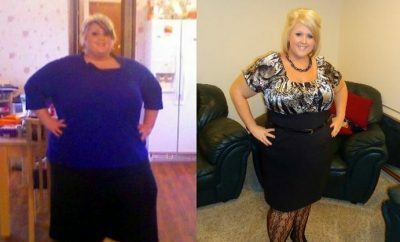 Courtney has maintained her weight loss for three years … and counting. ← Previous Story I lost my EVIL Twin!! 170 lbs LOST!!! 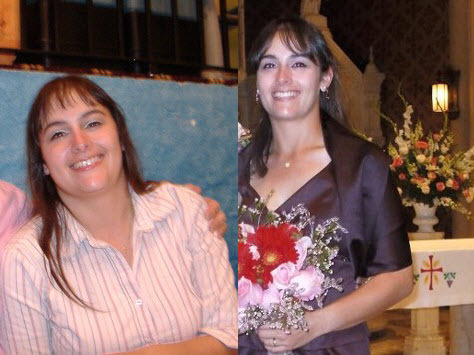 Real Weight Loss Success Stories: I Lost 170 Pounds And Became a Zumba Fitness Instructor!